Far and away the longest lasting and the most successful of the ’70s progressive rock groups, Yes proved to be one of the lingering success stories from that musical genre. The band, founded in 1968, overcame a generational shift in its audience and the departure of its most visible members at key points in its history to reach the end of the century as the definitive progressive rock band. Where rivals such as Emerson, Lake & Palmer withered away commercially after the mid-’70s, and Genesis and King Crimson altered their sounds so radically as to become unrecognizable to their original fans, Yes retained the same sound, and performed much of the same repertory that they were doing in 1971; and for their trouble, they found themselves being taken seriously a quarter of a century later. Their audience remains huge because they’ve always attracted younger listeners drawn to their mix of daunting virtuosity, cosmic (often mystical) lyrics, complex musical textures, and powerful yet delicate lead vocals. Lead singer Jon Anderson (b. Oct. 25, 1944, Accrington, Lancashire) started out during the British beat boom as a member of the Warriors, who recorded a single for Decca in 1964; he was later in the band Gun before going solo in 1967 with two singles on the Parlophone label. He was making a meager living cleaning up at a London club called La Chasse during June of 1968, and was thinking of starting up a new band. One day at the bar, he chanced to meet bassist/vocalist Chris Squire, a former member of the band the Syn, who had recorded for Deram, the progressive division of Decca. The two learned that they shared several musical interests, including an appreciation for the harmony singing of Paul Simon and Art Garfunkel, and within a matter of days were trying to write songs together. They began developing the beginnings of a sound that incorporated harmonies with a solid-rock backing, rooted in Squire’s very precise approach to the bass. Anderson and Squire saw the groups around them as having either strong vocals and weak instrumental backup, or powerful backup and weak lead vocals, and they sought to combine the best of both. Their initial inspiration, at least as far as the precision of their vocals, according to Squire, was the pop/soul act the Fifth Dimension. They recruited Tony Kaye (b. Jan. 11, 1946), formerly of the Federals, on keyboards; Peter Banks (b. July 7, 1947), previously a member of the Syn, on guitar, and drummer Bill Bruford (b. May 17, 1948), who had only just joined the blues band Savoy Brown a few weeks earlier. The name Yes was chosen for the band as something short, direct, and memorable. The British music scene at this time was in a state of flux. The pop/psychedelic era, with its pretty melodies and delicate sounds, was drawing to a close, replaced by the heavier sounds of groups like Cream. Progressive rock, with a heavy dose of late 19th century classical music, was also starting to make a noise that was being heard, in the guise of acts such as the Nice, featuring Keith Emerson, and the original Deep Purple. The group’s break came in October of 1968 when the band, on the recommendation of the Nice’s manager, Tony Stratton-Smith (later the founder of Charisma Records), played a gig at the Speakeasy Club in London, filling in for an absent Sly & the Family Stone. The group was later selected to open for Cream‘s November 26, 1968, farewell concert at Royal Albert Hall. This concert, in turn, led to a residency at London’s Marquee Club and their first radio appearance, on John Peel’s Top Gear radio show. They subsequently opened for Janis Joplin at her Royal Albert Hall concert in April 1969, and were signed to Atlantic Records soon after. Their debut single, and Anderson and Squire’s first song, entitled “Sweetness,” was released soon after. Their first album, Yes, was released in November of 1969. The record displayed the basic sound that would characterize the band’s subsequent records; including impeccable high harmonies; clearly defined, emphatic playing, and an approach to music that derived from folk and classical, far more than the R&B from which most rock music sprung, but it was much more in a pop-music context, featuring covers of Beatles‘ and Byrds’ songs. Also present was a hint of the space rock sound (on “Beyond and Before”) in which they would later come to specialize. Anderson’s falsetto lead vocals gave the music an ethereal quality, while Banks’ angular guitar, seemingly all picked and none strummed, drew from folk and skiffle elements. Squire’s bass had a huge sound, owing to his playing with a pick, giving him one of the most distinctive sounds on the instrument this side of The Who‘s John Entwistle, while Bruford’s drumming was very complex within the pop-song context; and Kaye’s playing was rich and melodic. In February of 1970, Yes supported the Nice at their Royal Albert Hall show, while they were preparing their second album, Time and a Word. By the time it was released in June of 1970, Peter Banks had left the lineup, to be replaced by guitarist Steve Howe (b. Apr. 8, 1947), a former member of the Syndicats, the In Crowd, Tomorrow (“My White Bicycle”), and Bodast. Howe is pictured with the group on the jacket of Time and a Word, which was released in August, and played his first show with the group at Queen Elizabeth Hall on March 21, 1970, but Banks actually played on the album. This record was far more sophisticated than its predecessor, and even included an overdubbed orchestra on some songs, the only time that Yes would rely on outside musicians to augment their sound. The cosmic and mystical elements of their songwriting were even more evident on this album. The group’s fame in England continued to rise as they became an increasingly popular concert attraction, especially after they were seen by millions as the opening act for Iron Butterfly. It was with the release of The Yes Album in April of 1971 that the public began to glimpse the group’s full potential. That record, made up entirely of original compositions, was filled with complex, multi-part harmonies; loud, heavily layered guitar and bass parts; beautiful and melodic drum parts; and surging organ (with piano embellishments) passages bridging them all. Everybody was working on a far more expansive level than on any of their previous recordings: on “Your Move” (which became the group’s first U.S. chart entry, at number 40), the harmonies were woven together in layers and patterns that were dazzling in their own right; while “Starship Trooper” (which drew its name from a Robert Heinlein novel, thus reinforcing the group’s space rock image) and “All Good People” gave Howe, Squire, and Bruford the opportunity to play extended instrumental passages of tremendous forcefulness. “Starship Trooper,” “I’ve Seen All Good People,” “Perpetual Change,” and “Yours Is No Disgrace” also became parts of the group’s concert sets for years to come. The Yes Album opened a new phase in the group’s history and its approach to music. None of it was pop music in the “Top 40″ sense of the term. Rather, it was built on compositions which resembled sound paintings rather than songs; the swelling sound of Kaye’s Moog synthesizer and organ, Howe’s fluid yet stinging guitar passages, Squire’s rippling bass, and Anderson’s haunting falsetto leads all evoked sonic landscapes that were strangely compelling to the imagination of the listener. The Yes Album reached number seven in England in the spring of 1971; later, it got to number 40 in America. Early in 1971, Yes made their first U.S. tour opening for Jethro Tull, and they were back late in the year sharing billing with Ten Years After and the J. Geils Band. The band began work on their next album, but were interrupted when keyboard player Tony Kaye quit in August of 1971 to join ex-Yes guitarist Peter Banks in the group Flash. He was replaced by former Strawbs keyboard player Rick Wakeman, who played his first shows with the band in September and October of 1971. Wakeman was a far more flamboyant musician than Kaye, not only in his approach to playing, but in the number of instruments that he used. In place of the three keyboards that Kaye used, Wakeman used an entire bank of upwards of a dozen instruments, including Mellotron, various synthesizers, organ, two or more pianos, and electric harpsichord. This lineup, Anderson Squire, Howe, Wakeman, and Bruford, which actually only lasted for one year, from August of 1971 until August of 1972, is generally considered the best of all the Yes configurations, and the strongest incarnation of the band. The group completed their next album, Fragile, in less than two months, partly out of a need to get a new album out to help pay for all of Wakeman‘s equipment. And partly due to this haste, the new album featured only four tracks by the group as a whole, “Roundabout,” “The South Side of the Sky,” “Heart of the Sunrise,” and “Long Distance Runaround” — although, significantly, all except “Long Distance Runaround” ran between seven and 13 minutes — and was rounded out by five pieces showcasing each member of the band individually. Anderson’s voice was represented in multiple overdubs on “We Have Heaven,” while Squire’s bass provided the instrumental “The Fish,” which later became an important part of the group’s concerts; Howe’s “Mood for a Day” showed him off as a classical guitarist; Bruford’s drums were the focus of “Five Percent for Nothing”; and Wakeman turned in “Cans and Brahms,” an electronic keyboard fantasy built on one movement from Brahms’ Fourth Symphony. Fragile, released in December of 1971, reached number seven in England and number four in America. The album’s success was enhanced by the release of an edited single of “Roundabout,” the group’s first (and, for over a decade, only) major hit, which reached number 13 on the U.S. charts. For millions of listeners, “Roundabout,” with its crisp interwoven acoustic and electric guitar parts and very vivid bass textures, exquisite vocals (especially the harmonies), swirling keyboard passages, and brisk beat, proved an ideal introduction to the group’s sound. Neither Emerson, Lake & Palmer nor King Crimson, the group’s leading rivals at that time, ever had so successful a pop-chart entry. The single’s impact among teenage and college-age listeners was far greater than this chart position would indicate; they simply flocked to the band, with the result that not only did Fragile sell in huge numbers, but the group’s earlier records (especially The Yes Album) were suddenly in demand again. Even the album’s jacket, designed by artist Roger Dean, featured distinctive, surreal landscape graphics, which evoked images seemingly related to the music inside. These paintings would become part-and-parcel with the audience’s impression of Yes’ music, and later tours by the group would feature stage sets designed by Dean as an integral part of their shows. The group’s appeal was multi-level. In some ways, they were the successors to psychedelic metal bands such as Iron Butterfly; “Roundabout” may have been space rock, with a driving beat that carried the listener soaring into the heavens, but lines like “In and around the lake/Mountains come out of the sky/they stand there” evoked a surreal imagery not far removed (in the minds of some listeners) from “In a Gadda Da Vida”; and just as effective, amid Wakeman’s swirling synthesizer and Mellotron passages, as a musical background for any druggy indulgences that fans might pursue. These would also be among the last lyrics that fans of the band would have to deal with, apart from anomalies such as the ethereal “I get up/I get down” from “Close to the Edge” or the topical “Don’t Kill the Whale”; on most of the band’s future releases, and for much of this song as well, Anderson’s voice was part of the overall mix of sounds generated by Yes. Some of his lyrics in future years were worth a detailed look, however, often possessing complex subtexts drawn from religious and literary sources which made them good for intellectual analysis, and something that college students could listen to with no shame or rationalizing. In that respect, Yes were as much the successors to the Moody Blues, with a beat and balls in place of the pioneering art rock/psychedelic band’s stateliness and overt seriousness, as they were to Iron Butterfly. Jon Anderson’s falsetto vocals, moreover, compared very well with those of his Atlantic Records stablemate Robert Plant, the lead singer of Led Zeppelin. Their classical music influences offered a level of intellectual stimulation that Led Zeppelin seldom bothered with. And Yes played loud and hard; they were progressive, but they weren’t wimps, and they put on a better show than Emerson, Lake & Palmer. Their music seemed to evoke the most appealing elements of heavy metal rock, psychedelic music, the work of composers as different as Igor Stravinsky and film composer Jerome Moross (whose “Main Theme From the Big Country” provided the basis for the group’s version of “No Experience Necessary”), and Eastern religion, all wrapped in songs running upwards of 22 minutes — an entire side of an album. “Roundabout” would be the group’s biggest single success for the next 12 years, but it was more than enough. Although they would continue to release 45s periodically, including a cover of Paul Simon’s “America” during the summer of 1972, Yes’ future clearly lay with their albums. On Fragile, “Long Distance Runaround,” as a three-minute song, had been the anomaly; the band was clearly looking at longer forms in which to write and play their music. Close to the Edge, recorded in the late spring of 1972 and released in September of that year, showed just where they were headed; consisting of only three long tracks, essentially three sound paintings, in which the overall sound and musical textures mattered more than the lyrics or any specific melody, harmonization, or solo. “Siberian Khatru” was almost a rock adaptation of Stravinsky’s Rite of Spring, recalling the composer’s most famous work and sounding as though Anderson and company had tapped into a element of ritual and a state of consciousness going back practically to the dawn of time (or stretching to the end of time); while “And You and I” seemed to take “Your Move” to a newly cosmic level. The fans and critics alike loved Close to the Edge, resplendent in its rich harmonies and keyboard passages of astonishing beauty and complexity, brittle but powerful guitar, and drumming that was gorgeous in its own right. The album reached number four in England and number three in the United States without help from a hit single (though an edited version of “And You and I” did reach number 42 in America). By the time of the record’s release, however, Bill Bruford had left the band to join King Crimson, and was replaced by Alan White (b. June 14, 1949, Pelton, Durham), a session drummer who was previously best-known for having played with John Lennon and Yoko Ono’s Plastic Ono Band. With White — who was a powerful player, but lacked the subtle melodic technique of Bill Bruford — installed at the drum kit, the group went on tour behind the new album to massive audience response and critical acclaim. As an added bonus for fans, Rick Wakeman had completed his first solo LP, the instrumental concept album The Six Wives of Henry VIII, which was released by A&M Records in February of 1973 (Wakeman had played excerpts from it during his featured solo spot during the previous Yes tour). A large part of the Close to the Edge tour, like the group’s prior tour with Bruford on the drums, was recorded, and a three-LP (two-CD) set entitled Yessongs, released in May of 1973, was assembled from the best work on the tour. Yessongs became a model for progressive rock live albums; at over 120 minutes, it included the band’s entire stage repertory (not coincidentally, the best songs from the three preceding albums), all of it uncut and all of it well-played. The live album reached number seven in England and number 12 in the United States. The group spent the second half of 1973 trying to come up with a follow-up to four successive hit albums. The resulting record, a double LP entitled Tales From Topographic Oceans, was released in January of 1974 with such high expectations that it earned a gold record from its advanced orders. Tales From Topographic Oceans broke all previous artistic boundaries, consisting of four long tracks each taking up the full side of an LP, with titles like “The Revealing Science of God (Dance of the Dawn).” If the group’s prior albums were made up of paintings in sound, then Topographic Oceans was a series of sonic murals, painted across vast spaces on a massive scale that did not make for light listening. If this all seems ridiculously overblown today, perhaps it was, but this work was being done in an era in which groups like Emerson, Lake & Palmer were recording album-length suites and stretching relatively modest works such as “Fanfare for the Common Man” by Aaron Copland into ten-minute epics. The group believed it had cultivated an audience for such music, and they were right; Topographic Oceans not only topped the British charts but reached number six on the American charts. No album has more divided both fans and critics of Yes alike. At the time of its release, critics called Tales From Topographic Oceans excessive, representing the height of progressive rock’s self-indulgent nature. Originally inspired by Jon Anderson’s reaction to a set of Shastric scriptures, the album displayed a sublime beauty in many parts, and immense, mesmerizing stretches of high-energy virtuosity for most of its length. The group toured behind Topographic Oceans early in 1974, performing most of the album on-stage. Following this tour, plans were announced for each member of the group to release a solo album of his own. At this point, the group faced another major lineup change as Wakeman — whose second solo album, Journey to the Centre of the Earth, appeared in May of 1974 — announced that he was leaving Yes’ lineup in June to pursue a solo career. In fact, as he revealed in interviews many years later, he’d been very unhappy with the content of Tales From Topographic Oceans, feeling that its music no longer reflected the direction he wanted to go in and that it was time to part company with the band. Wakeman’s decision created a major problem for the band, for the keyboard player had become a star within their ranks, and was the group’s most well-known individual member; people definitely paid to see and hear his keyboards rippling amid the Yes sound. In August of 1974, it was announced that Patrick Moraz (b. June 24, 1948, Morges, Switzerland), formerly of the progressive rock trio Refugee, had replaced Wakeman. Three months later, the group’s new album, Relayer, was released, reaching the British number four spot and the American number five position. Moraz proved an adequate replacement for Wakeman, but lacked his predecessor’s gift for showmanship and extravagance. The group toured in the wake of Relayer’s release in November of 1974, but didn’t record together again for two-and-a-half-years. Indeed, in order to satisfy the demand for more Yes material in the absence of a new album while the group was on the road, Atlantic in March of 1975 released a collection of their early music entitled Yesterdays, drawn from the first two albums and various singles, which rose to number 27 in England and number 17 in America. A film that the group had made along their 1973 tour, entitled Yessongs, was released to theaters at around the same time. The movie received poor reviews, possibly owing to the fact that most reviewers were unfamiliar with the group’s music, but it was profitable and has been popular for years on home video. Meanwhile, in the absence of new albums by Yes, other bands began trying and capitalize on their own version of the Yes sound. The most notable of these were Starcastle, a progressive rock band signed by Epic Records, who made their recording debut in 1976 with a self-titled album that could’ve been another incarnation of Yes; and Fireballet, a Passport Records quartet who seemed to bridge the music of Yes and ELP. In November of 1975, Chris Squire’s Fish Out of Water and Steve Howe’s Beginnings were both released and climbed into the mid-number-60-spots of the American charts. Squire’s record was clearly the more accomplished of the two, virtually a lost Yes album, with the bassist exploring new instrumental and orchestral textures, and turning in a credible vocal performance as well. Howe’s record was an interesting, low-key effort that might’ve impressed other guitarists, but was sorely lacking in the songwriting department. These were followed in March of 1976 by Alan White’s Ramshackled, which placed at number 41 in England, and Moraz’s solo venture Patrick Moraz, which reached number 28 in England and number 132 in America. And in July of 1976, Jon Anderson’s Olias of Sunhillow, a dazzling, Tolkien-esque science-fiction/fantasy epic (with packaging on the original LP that must’ve doubled the basic production cost of the jacket) that sounded as much like a Yes album as any record not made by the entire band could, reached number eight in England and number 47 in America. Amid all of these solo projects, the group’s lineup changed once again, as Wakeman announced his return to the fold in late 1976, while Moraz exited. Wakeman’s original plan was to assist the group in the studio on their new album, but the sessions proved so productive that he made the decision, fully supported by the band, to return to the band’s lineup permanently. The group’s next album, Going for the One, released in August of 1977, represented a much more austere, basic style of rock music, built around shorter songs. The long-player topped the British charts for two weeks and reached number eight on the American charts, while the singles “Wonderous Stories” and “Going for the One” rose to numbers seven and 24, respectively, in the U.K. The group embarked on a massive tour shortly after the album’s release, including their most successful American appearances ever, playing to record audiences on the East Coast. Tormato, released nearly a year later (heralded by the single “Don’t Kill the Whale,” the group’s first song with a topical message), made the Top Ten in both England and America in the fall of 1978. Once again, after finishing the tour behind the album, the group members began working on solo projects. The year 1979 saw the release of The Steve Howe Album, while early in 1980 Jon Anderson hooked up with Greek-born keyboard player Vangelis. The two released an album, Short Stories, and an accompanying single, “I Hear You,” early in 1980, both of which reached the British Top Ten. Jon & Vangelis, as the team became known, went on to cut several more records together. In March of 1980, Yes’ lineup collapsed, as Wakeman and then Anderson walked out after an unsuccessful attempt to start work on a new album. Two months later, Trevor Horn (vocals, guitar) and Geoffrey Downes (keyboards), formerly of the British band the Buggles, joined the Yes lineup of Steve Howe, Chris Squire, and Alan White. This configuration recorded a new album, Drama, which was released in August of 1980; rather ominously, this record did dramatically better in England, reaching the number two spot, than it did in America, where it got no higher than number 18. This hybrid lineup lasted for a year, but the old Yes incarnation remained much closer to the hearts of fans; in January of 1981 Atlantic Records released Yesshows, a double-live album made up of stage performances dating from 1976 through 1978 that reached number 22 in England and number 43 in America. Finally, in April of 1981, the breakup of Yes was announced. 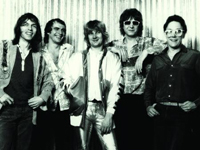 Geoff Downes formed Asia with Steve Howe, which went on to some considerable if short-lived success in the early ’80s, and the rest of the band scattered to different projects. For a year-and-a-half, the group seemed a dead issue, until Chris Squire and Alan White announced the formation of a new group called Cinema, with original Yes keyboard player Tony Kaye and South African guitarist Trevor Rabin. This band proved unsatisfactory, and Squire invited Jon Anderson to join. It was just about then that everyone realized that they’d virtually re-formed the core of the Yes lineup, and that they should simply revive the name. In late 1983, this Yes lineup, with guitarist/vocalist Trevor Horn serving as producer, released an unexpected chart-topping hit (number one in the U.S. in January of 1984) single in “Owner of a Lonely Heart,” displaying a stripped-down modern dance-rock sound unlike anything the group had ever produced before. The remaining group released a successful dance-rock style album, 90125, under Horn’s guidance, which sold well but also proved a dead-end, with no follow-up, when Horn chose not to remain with the group. Yes was invisible for nearly two years after that, until the late 1987 release of Big Generator, which performed only moderately well. Meanwhile, in 1986, Steve Howe reappeared as a member of the quintet GTR, whose self-titled album reached number 11 in America. The proliferation of ex-Yes members gathering together in various combinations led to an ongoing legal dispute over who owned the group name, which came to a head in 1989. Luckily for four of them, the name Anderson-Bruford-Wakeman-Howe was recognizable enough to reach the fans, which sent the resulting album into the U.S. Top 40 and the British Top 20, more or less handing them a victory by acclamation (later supported by the settlement) in their dispute over the name. By touring with An Evening of Yes Music, they presented their classic repertory to sold-out houses all over the country, including a 1990 gig at Madison Square Garden. In 1991, amid the burgeoning activity by Anderson-Bruford-Wakeman-Howe and the officially constituted Yes (featuring Squire, White, and Kaye), it was decided to bury past differences and shoot the works, on a “mega-Yes” recording project and tour. The result was Union, an uneven and disappointing album that united Anderson, Squire, Wakeman, Kaye, Bruford, White, Rabin, and Howe, essentially every official member from the previous 23 years except Peter Banks, Geoff Downes, Patrick Moraz, and Trevor Horn. The resulting album got poor to middling reviews, owing to overall poor song quality in several instances and also to production that left it sounding not quite like any version of Yes that had previously been heard. Several members have since publicly questioned its validity in terms of their work on it, although Union’s success in the marketplace substantial, but nowhere! near the sales racked up by The Big Generator, much less 90125. And the tour was one of the great successes in the increasingly shaky world of rock concert financing, approaching and setting records for the years 1991 and 1992. The 1990′s proved every bit as busy for members of the group as the preceding decade, if not always in a group context. Bill Bruford and Steve Howe, in conjunction with producer Alan Parsons and arranger David Palmer, successfully spun off the group’s classic music on a mostly instrumental project called Symphonic Music Of Yes, released on RCA, which presented many of the best-known Yes songs in an orchestral setting (with Jon Anderson furnishing vocals in two places). Trevor Rabin reunited with Anderson, White, Kaye, and Squire in 1994 for the Talk album, which sold poorly despite a national tour and the presence of a killer single in “The Calling”. Kaye left the music business for more than a decade following that tour, which saw guitarist Billy Sherwood, a longtime friend of Squire’s and an ex-member of World Trade, join as a new official member of the band. It was also around this time that the first round of upgraded reissues of the group’s catalog appeared on CD from Atlantic Records. In 1995, the classic line-up of Anderson, Howe, Squire, Wakeman, and White reunited for a short series of performances, which yielded several live recordings as well as a pair of new studio albums soon after, Keys To Ascension and Keys To Ascension 2; but the reunion was interrupted by Wakeman’s departure, in a dispute over the treatment of the new studio material. Sherwood eventually took over on keyboards, in addition to his guitar duties. He and Squire became key members of the latter-day Yes line-up, their work in their own band Conspiracy serving as the core of what became the Yes album Open Your Eyes. By this time, Yes had taken on two distinct incarnations, on stage and in the studio — Trevor Rabin having opted out of the group after 1995 in favor of work as a film composer, Steve Howe returned to the concert stage as a member, his work a highlight of their shows, while in the studio it was Sherwood and Squire, along with Anderson, at the creative center of the group. And another new member was added following the tour for Open Your Eyes (which was mostly devoted to reviving their 70′s repertory), in Igor Koroshev. And amid all of this activity by the latest incarnation of the band, the original lineup — Anderson, Banks, Squire, Kaye, and Bruford — was the focus of a new archival release in 1997, Something’s Coming: BBC Sessions 1969-1970 (aka Beyond And Before), which was annotated by Peter Banks, no less. The group’s lineup went through further changes amid a plethora of live recordings, released as both CDs and DVDs, in the early twenty-first century. Sherwood was dismissed in 2000, and Koroshev was gone after the tour that year. Magnification saw the band working with a full orchestra, which proved something of a disappointment to many fans — Yes had never really worked well with that sort of accompaniment, on those rare occasions when they tried it in the past, and not even state-of-the-art digital technology could help. Wakeman was back for the group’s 2002 international tour, and Yes toured again two years later, to commemorate their 35th anniversary. All of these performances and new recordings coincided with a massive amount of activity surrounding the group’s catalog. A second, more expansive career-retrospective five-disc box set, In A Word: Yes, was released in 2002, and around this same time Japanese WEA reissued the entire Yes catalog in audiophile-quality remastered editions, packaged in handsome miniature LP sleeves that recreated all of the Roger Dean-designed jackets in perfect detail, inside and out. Not tto be outdone, Rhino Records in the US — by now absorbed into the Warner-Elektra-Atlantic family of labels — issued their own remastered editions of the same catalog in slipcased editions, with the added virtues of extensive bonus tracks and annotation and, in the case of Tales From Topographic Oceans, a remixed master as well. The legal squabbles had all been settled by the spring of 1991, at which time a composite “mega Yes” group consisting of Anderson, Howe, Wakeman, Squire, Kaye, White, Rabin, and Bruford (all of the key past members except Peter Banks) embarked on a blow-out world tour (which included the filming of a video historical documentary of the band, Yesyears: The Video) called Yesshows 1991. The accompanying album, Union, which displayed a somewhat tougher sound than they’d been known for, debuted on the British charts at number seven and reached number 15 in America. This tour, which allowed the band to showcase music from all of its previous incarnations and, in the second half of the show, featured each member who wished it in a solo spot, broke more records. These mammoth three-hour shows and the resulting publicity (even news organizations that normally didn’t cover rock concerts did features on the reunion) only seemed to heighten interest in the four-CD boxed set YesYears, which was released by Atlantic in 1991.